Lead, Nickel & Cadmium Free! 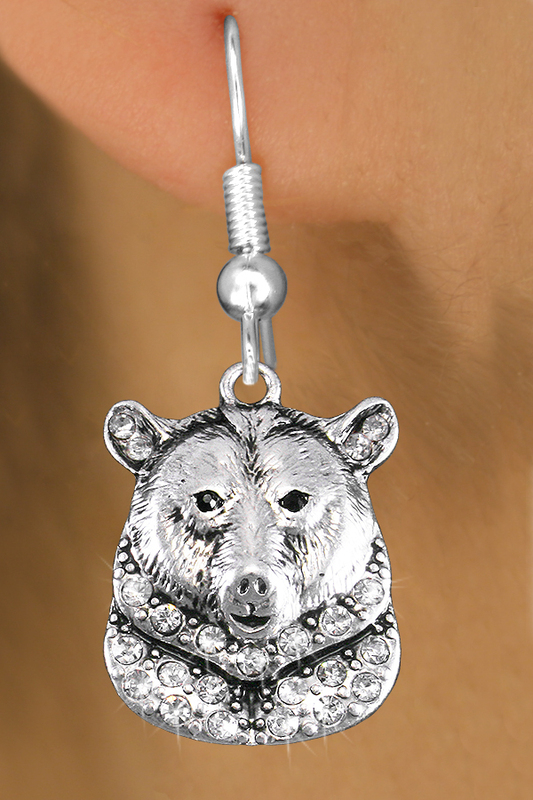 Detailed Antiqued Silver Tone Grizzly / Bear Charm Is Accented With Genuine Austrian Crystals, With Jet Crystals For Eyes, And Comes On An Earring Style Of Your Choice: Surgical Steel Post Or Surgical Steel Fishhook. 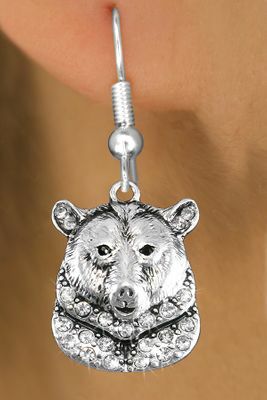 Charm Measures: 1 1/8"h x 3/4"w.